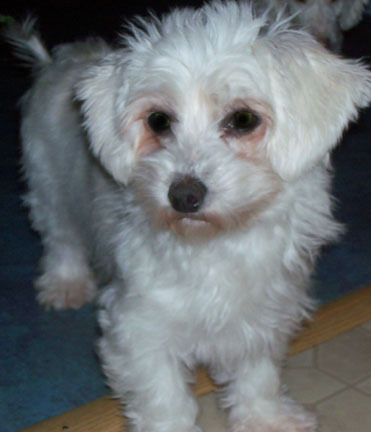 I welcomed my dog, a pure-bred Havanese, into my home almost a year ago. She had been a puppy mill breed dog for five years, and was understandably frightened of everything. I spent months coaxing her into my chair and my heart would break when her muscles twitched as I stroked my hand over her body. As the months rolled on and she began to make small steps forward, I realized that Mary’s learning to trust was much like writing a story with a reluctant heroine. She didn’t want to reveal herself all at once. Rather, she toyed with me, letting me catch a glimpse of what was to come, but only if I handled myself well. Much like crafting a good hero or heroine. It makes the end resolution all the more sweet. The day she climbed into my chair all by herself and curled up in my lap brought tears to my eyes– like crying at the end of a good book. 1 Response to Everything I know about writing I learned from my dog.